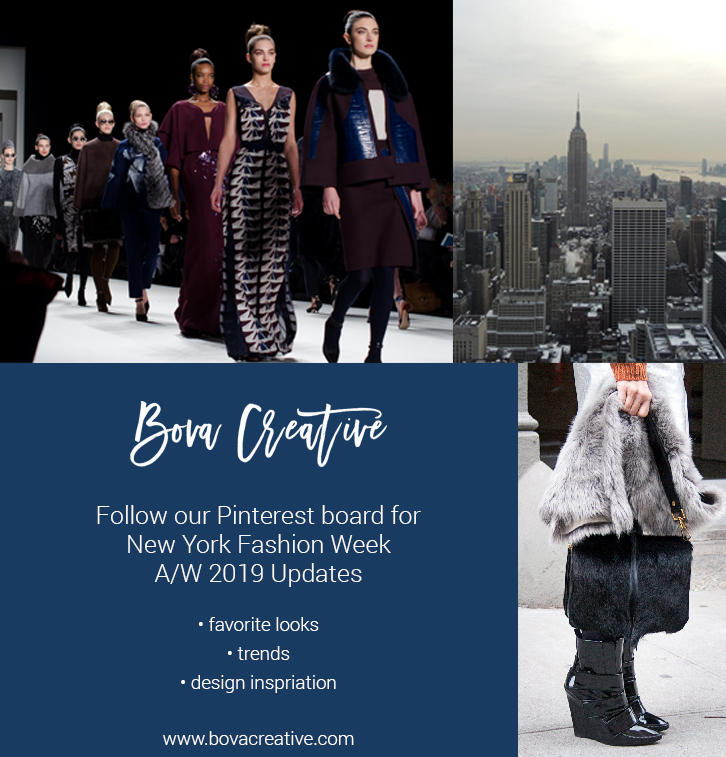 Be sure to follow our Pinterest Board for our favorite looks and trends from NYFW. It starts February 7, but there is a lot of Pre-Fall that looks amazing. We typically collect the images on one board and then repin them to individual trends. If you follow our account you will see them all! Not that into fashion? I get it, but remember, if you sell a product, interior or otherwise, these trends will have some influence on what is selling. Even from a 500 foot view, you can tell by looking at the runway if things are getting more sleek and paired back or if they are bright, vibrant, and full silhouettes. This simple bit of information can serve as a guide for brands that typically don’t cater to every trend that comes along. One thing we do is help brands interpret these trends appropriately for their products. Think “how would the home department at Anthropologie interpret a camo trend”? Well, it would be very different from how Pottery Barn Teen might approach the same trend. 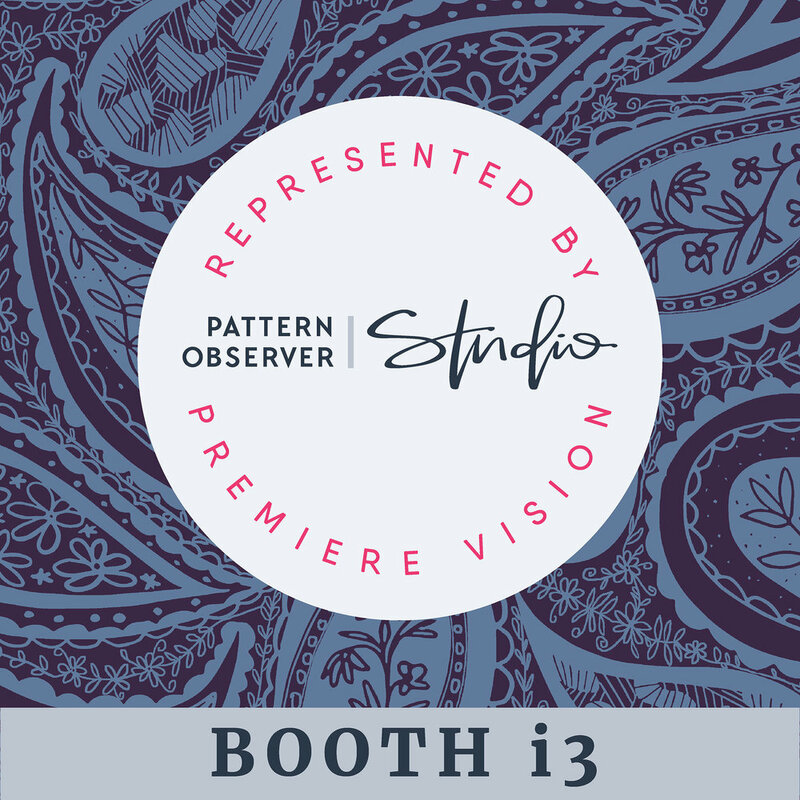 The patterns, colors, and approaches to creating the prints would be different for each client, but they would all speak to the same macro-trend. The end consumer is different and the products should accurately reflect the trends in ways that speak to that customer. That’s where the skilled print and product designer makes a difference. We invite you to follow along while we watch NYFW come to life online. Click the image above or the link HERE. At the end of the year I like to review how the year went (fast: major renovation, full-time job, two young kids) and what I want to do differently in the coming year (not renovate a house). This past year had many challenges, time and my ability to squeeze it all in was the biggest one and I know I’m not alone on that front. One of the unexpected outcomes of this on-going time crunch is that I forced myself to stop and unwind creatively on a regular basis. I tried to keep time for exploration and unrelated to any project or client and just painted and drew what was in my heart. It may have been 30 minutes here and there, but I did it. I painted what I wanted to see and and how I was feeling on any given day. The end result was some of my best work and a more clear definition of my style. I started to understand my color palette and what makes my work uniquely mine. I was able to study more clearly what I liked and didn’t like and what I wanted to change about my work. I’ll never stop growing and developing my style, but this year was a major leap forward for me. I don’t think I would have made time for this exploration if I had the luxury of extra time. 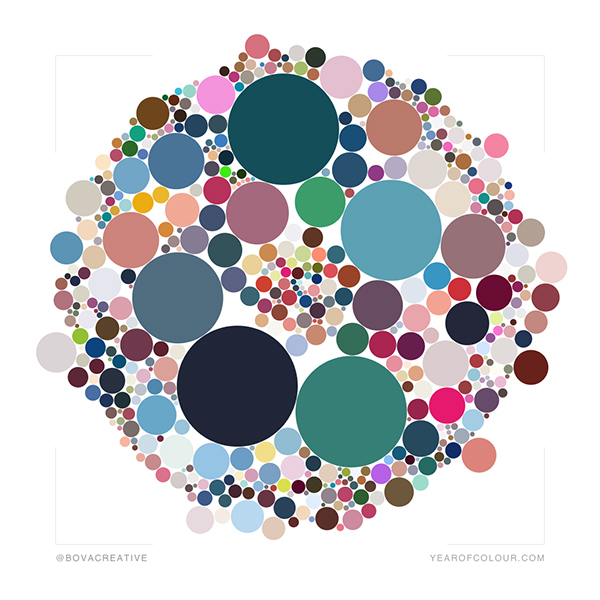 A fun experiment with our most used colors on Instagram. Lilla Rogers says “People buy your joy”. This echos what I said a few years ago when I started developing some of our products- I stuck to creating things that I would want to buy and that made me happy. Ironically enough, I have spent years keeping myself out of the equation. 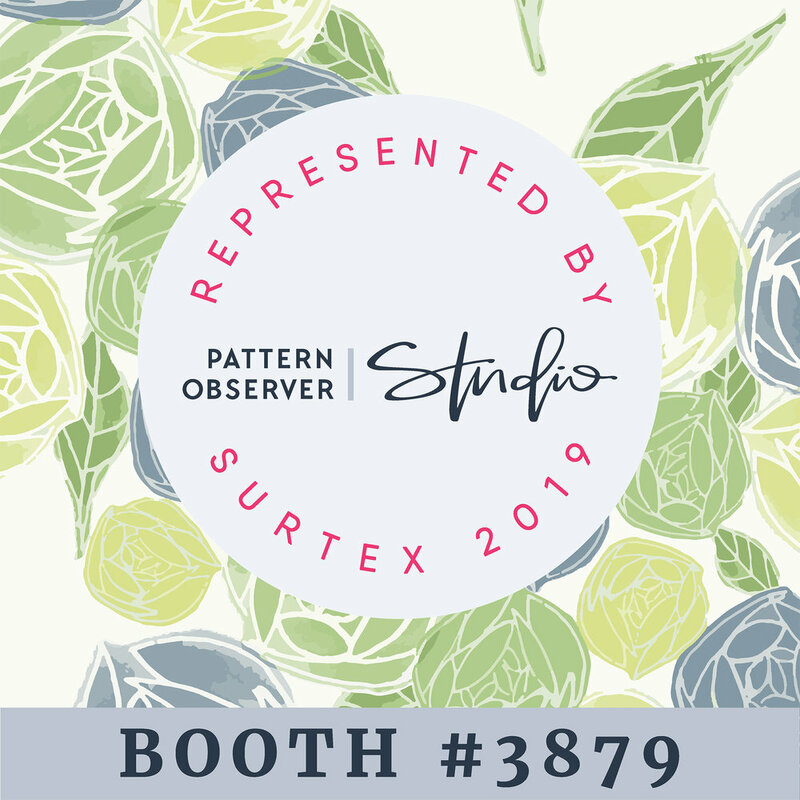 My creativity and ideas are involved, but creating for clients, whether it’s interiors, graphics, product development, or surface pattern design means that you create for the client and their brand, taste, office, or home. It’s always integral to the success of the project and this was ingrained in us when working for large design firms. It’s just part of the process and it’s never eliminated because this is commercial design. Jump back to the creative wind-down days of the last year. No client in mind at all, just enjoying myself. I think this is the way most artists and surface pattern designers work. There are many courses and outlines teaching designers how to have a client and a market in mind when designing. It’s critical to success. However, it’s also important to have your own style and a look that is identifiable to you. This year I figured out that it’s almost impossible to find that style if you keep anyone other than yourself and your joy front and center, at least for part of the time. Don’t abandon the client and brand focused briefs that are part of your ongoing work, but do take time to explore and find your own voice. It’s good for the soul and there are unexpected wins! As we do with each NY Fashion Week, we will be watching the collections as they begin to emerge tomorrow and in the weeks to come. We will be pinning our favorite looks to our Pinterest board, which you can follow here or by clicking the photo above. After the shows we will be compiling trend boards based on the 2018 A/W Collections. We always see fashion trends evolve and impact many other aspects of design, including interior design products and the stationery market. This is a huge source of inspiration for our designs. We will offer sneak peaks of our developing boards on social media so be sure to follow us, especially on Instagram & Pinterest. The trend boards will be available for purchase in March. A lot of people know that I studied industrial design and that I've been practicing interior design for decades now. Over the last 5 years I felt the urge to get back to my roots and start designing some of my own products. It was a natural start for me to delve into the world of textile and surface pattern design. After all, I've been specifying textiles for years that I wish I could tweak and change a bit. While I have a solid art background and a solid product design background, the idea of designing patterns in repeat and making them really good patterns was a bit elusive to me. So I started looking at the Facebook feeds of some of my illustrator friends. I stumbled upon the Textile Design Lab, run by Michelle Fifis, about 3 years ago. I suddenly felt that the knowledge was at my fingertips and didn't hesitate to join. Just like every other online community, you get out of the Textile Design Lab what you put into it. I was a bit reluctant at first, but I started to make some connections and saw that Michelle and her talented group of moderators really want to see everyone improve. To be honest, there were fits and starts for me. I started to tell myself "no more online classes or expenses, I need to just apply myself and get better". I decided to stay for one more class, which was the Photoshop class run by Sherry London. It was a complete 180 for me and my ability to design quickly what I envisioned. I had to stay for Photoshop 2! Along the way I participated in other classes on trends, collections, portfolios, and repeats. Most offered access to trend information that is priceless. In all of them you get personal feedback from multiple moderators, typically experts in the field for which you are designing. I was no longer on the fence and made my membership an annual expense. I started joining the weekly art critiques, designing in the monthly challenges, and sharing my work. Last year Michelle offered a Mastermind group for renewing members of the TDL. During the few weeks of online work and sharing, I joined up with 2 other designers who wanted to continue the check-in and goal review. Rita is in Michigan and Esther is in the Netherlands. We talk once a month to check-in on our goals and offer each other guidance and support. It's great because we "see" each other and chat in the Textile Design Lab and on social media, but we have formed a great friendship though our conversations which I can see will be lifelong. I feel like Michelle goes above and beyond to help designers whether they are learning the basics or trying to take their work to the next level. She and each one of her moderators has taken time and made the effort to make me a better designer. 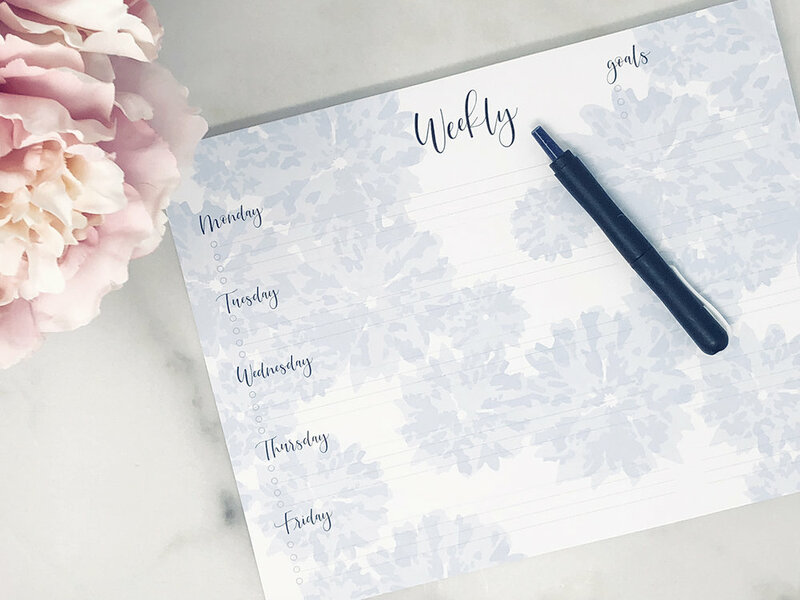 If you're not sure you want to make the leap and become a member, do what I did and start on a quarterly plan. 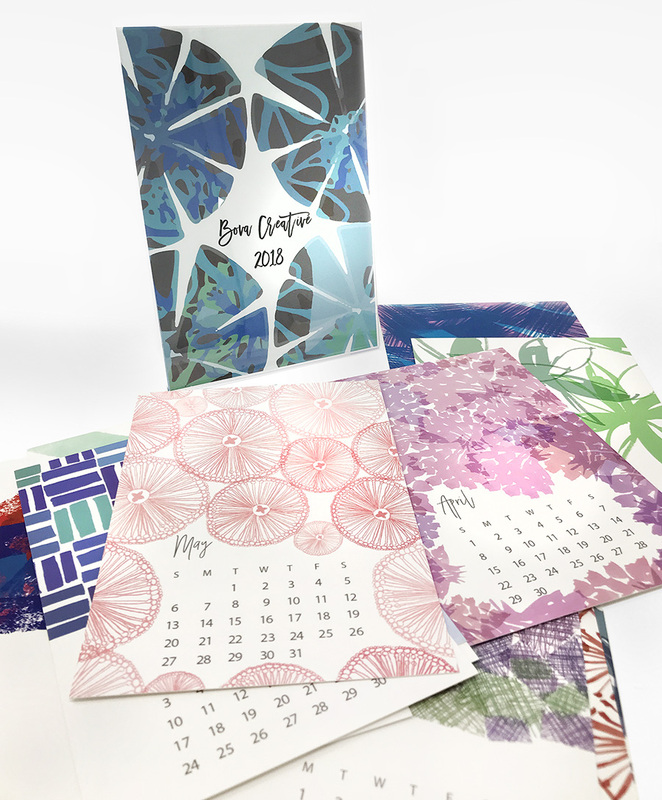 Do yourself the favor of participating and making use of the resources that Michelle and the Textile Design Lab offer. I hope you find it as valuable as I do and I hope to see you there! Michelle didn't ask me to write this review of the Textile Design Lab and I'm not being compensated in any way. I gave myself a little gift today. I woke up with a killer headache and I was dreading the day full of appointments feeling this way. The appointments weren't client meetings, but they were all important to keep things moving forward. Before 8am I had cancelled it all. Honestly, I think they were relieved too. Especially the meeting with the electrician who is in hot demand before the holidays. Instead of overbooking myself and running myself ragged I decided it was time for a day of thinking and planning and working where it’s quiet. I’ll be able to join the conference call that I was previously going to miss and I’m able to stop and catch up with the blog and the online shop. Tonight the craziness starts with the kids’ holiday show at school. If you haven’t seen our 2018 Calendar yet, jump over and grab one! Give yourself a little Black Friday gift this chilly Monday too. Earlier in the year I spent a great deal of time listening to the advice of others, of business professionals and podcasts and online groups. I was thinking about goals and long-term growth and I finally realized I was letting in way too much outside influence. As a Mom, it’s similar to the sort of noise you hear when you have your first baby. Everyone tells you what to do and how to do it and has no problem telling you what you’re doing wrong. Ugh. Eventually, when you get your wits about you, you tell them to go buzz off. Well, that’s what I finally had to do with the business advice, mentor groups, and podcasts. It was time to turn to my own expertise and years of experience. I started to think carefully about what brought me to art and design and why I decided to make this my profession. It began on Cape Cod, as have many important and pivotal experiences in my life. Each time I walked into the Harrington’s yard past rows of beach roses and hydrangea and, of course, bird houses, it felt like I was about to discover something. The Harrington’s house was different than ours. It had (still has) a modern aesthetic and a very Scandinavian feel and ours was more traditional Cape Cod. They had telescopes for bird watching and easels in the windows, which lined up to a spectacular view of the Atlantic (see above). It wasn’t fancy, but it was special. Every few weeks there would be a new painting on the wall, sometimes a work-in-progress, that Andrea, my friend Wendy’s Mom, had painted. I was always fascinated by her work and by seeing her process. I thought it was cool that she hung unfinished work on the wall near the kitchen so she could look at it while she was busy making dinner. Back then, in the 70’s and 80’s, there weren’t prepared craft kits or creative toys for kids. I had that creative itch but had no idea how to scratch it until I saw what Andrea was doing. She was the busy mother of two girls and a wife (to Winty, the avid birdwatcher) and she had this amazing talent that she embraced and nurtured. When I asked questions about her artwork and the tools she was using she would always answer in her cheerful, happy voice which I can hear in my head right now. Before I knew it, I started taking art classes on Saturday at CCAD and I started to explore different mediums. I was off to the races on my own creative journey which feels like it has never slowed down. But there is no doubt in my mind that it started with Andrea and her generous spirit. 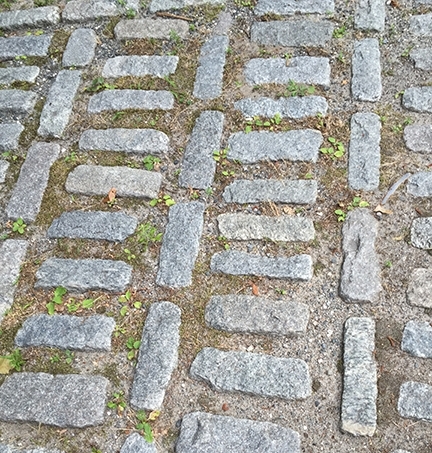 Granite stones at the leading edge of the driveway. Creativity at every turn. No wonder I loved it. Somehow remembering Andrea’s influence and spirit was an important key to figuring out what I need to do to grow and thrive in a business focused on art and design. People 20 years my junior who have seen far less than I might know more about social media platforms, but tapping into why you’ve made certain decisions can revive your spirit and that is huge. I love the phrase “authenticity is magic”. Andrea is authentic, as is her daughter Wendy. They have always been two of my favorite people in the world because they are genuine and unassuming. As I move forward on this journey, I’m going to write Andrea a letter, but I’m also going to keep her authenticity close to my heart. Authenticity is magic and it’s that kind of magic that moves mountains when they seem insurmountable. Tomorrow, July 14th, is Shark Awareness Day. What do we care about sharks living in the middle of the country? Well, both Clint and I grew up in waters full of sharks. Clint in Hawaii, where he spent a great deal of time surfing, paddling, and fishing. I spent my summers in Chatham, now known to be the Summer Home of the Great White Shark. So we have that in common. 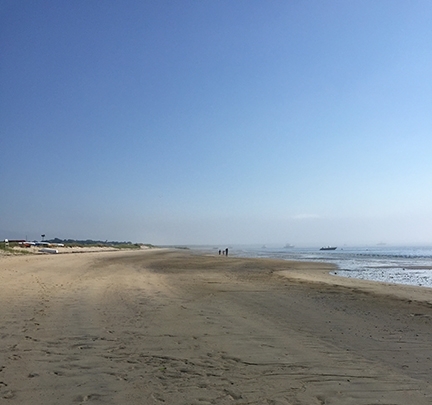 When I think about the number of hours I spent sailing in Stage Harbor and Pleasant Bay (which is sort of a bay, but think Lighthouse beach and south, which opens to the Atlantic) it is a little bit eerie. I’m sure that storms and the land masses have changed since my long Chatham summers which means the waters have changed, but how much? Yikes. Swimming with the sharks. We will leave that up to the professionals and Michael Phelps, whom I’m sure has professionals on hand. A summer tourist spot like Chatham could have met an ill-fate if the shark stories became dismal. Who would want to go? The town is charming, but how long would people stick around? Well, leave it up to the creative souls in Chatham, especially the Chatham Merchant’s Association to come up with a way to celebrate the sharks. Capitalize on it, bring people in and teach them all about the sharks. The Atlantic White Shark Conservancy even has an app where you can see the sharks they are tracking. (insert photo). The Chatham Merchant’s Association, in conjunction with local artists, have an annual show on display throughout the summer where the local artists paint, design, create shark art and display it in the park. This raises a good chunk of money for the association each year which then feeds back into the community. The instant reaction to sharks is fear, especially if you’re in the water. Chatham’s Shark Art and the White Shark Conservancy are two really positive things that have come from being a Great White hang out. Kudos to my home away from home, my favorite place on the planet, Chatham, for bringing positive interaction and awareness to the sharks who share our waters. The sharks picked some really nice waters and a pretty cool town to hang out in, if I don’t say so myself. We've been working hard at the studio. So hard that we haven't taken the time to update the blog for a few months. How did that happen? If you want to see what we've been up to, check out our Instagram feed for some behind the scenes images of recent work and explorations. Earlier this month was my Mom's birthday (not coincidentally on Best Friends Day) and I was lucky to have dinner with my parents and my brothers and their families. I don't take that for granted. If you know my Mom, you know that she's hard to buy for and she even announced, "Please come to dinner but no gifts". I had to defy her orders because I had seen the Spoonflower blog post on making tea towels from family recipes. I've spoken before about my maternal grandmother's apple pies. She was an extraordinary baker, but also a very accomplished cook. I am still (covered in flour) trying to perfect her buttermilk biscuits and can't do it nearly as well as she did. I used my grandmother's best and most favorite recipes for my Mom's tea towels. It was a pleasure to make them for my Mom and she loved getting them. What I didn't expect was my sister-in-law asking about the wrapping paper with which I wrapped the tea towels. I always use my own gift wrap now, unless it's a kids gift (getting to that...). She took one look at it and said "That's not on your web site. If it was I would buy it in a minute." That's one of those moments that lit a fire. Just a few days later I read a blog post done by art licensing consultant Maria Brophy. You can read the full post here. The gist of it is that you have to make it clear that you are selling your work and make it available for people to buy. All of this led me to make a commitment to expand our online shop and make our products and work available to everyone. I'm committing to July 25th as the absolute latest. That's a month from today. Hold me to it! Back when I worked in a large design consultancy everything was wide open. We worked in big rooms and had lots of sunlight and collaboration. It's pretty common now for open format office space, but 15-20 years ago it was more on the innovative side. The one thing that was almost always present in the studio was music. I swear, I listened to every single version of The Girl From Ipanema during those years. Someone who sat near the stereo system (no blue tooth music in the 90's) really loved that song. Everyone generally agreed on the music but we kept it within bounds and work conducive. It made for a happy, upbeat environment. You may not be able to convince your boss or your significant other if you share a home work space, but that's what headphones are for! 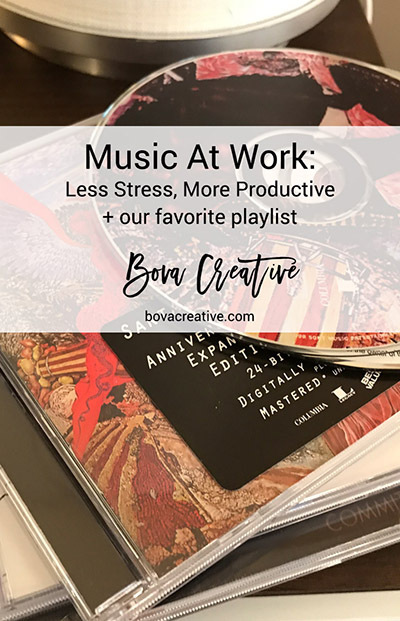 Crank up the music and breathe... for some suggestions, try our work playlist on Spotify. "Do you know what time Timmy's party is?" "Can you tell me the paint color in my foyer? My painter mixed up the cans!" Whatever the text or request, work, kiddos, or even our recent trip to New York, I organize it all in Evernote. Between my phone and Evernote every email, party invite, or school info sheet that comes home is always at my fingertips. It's magical. If you think you need an assistant to run your life, start with Evernote and then re-evaluate. Part of my style of working is staying organized. While many people just use Evernote as a web clipper (and you can do that) it's got a lot more power than that. I consider it my virtual filing cabinet that is accessible from anywhere I have my phone, ipad, or a computer. I organize by notebook and use a lot of tags within notebooks should I not remember where something is filed. I have simple systems and templates set up for my basic tasks. There are a ton of great resources out there to organize Evernote so it works for you. This month is de-stress month. It's also organize your files and paperwork month. At the outset, it seems like the people who declare these things need to have a meeting. (The sheet people and the mattress people need to have one as well, but that's another post for another day.) April is the month of taxes and going through the mess you've made while you cranked through your other goals for the first quarter of the year. Taking another perspective may help. Getting all that stuff filed, organized and put away feels great! It totally eases your stress when you take a seat in an organized space. "There is a certain beauty to an organized space and beauty has a huge positive impact on our stress level"
I'm making an effort to get and keep my studio clean, organized, and beautiful. Studios are such personal spaces and I think that's why I'm fascinated by seeing other artist's environments. I like to see how they organize (or if they organize) and what they surround themselves with on a daily basis. Personally, I have found that the more organized I am the more I stay focused and on-task. I don't get distracted by a mess, I just make my decisions and keep moving on. I've designed many offices over the last 20+ years. I've looked a lot at the way people work and talked to all walks of life about their ideal workplace. Organized and beautiful are two words that usually top the list of requests. Additionally, people want their spaces to reflect their personality, either through objects or images. Over the next few weeks I'll share some of my favorite tools and tips for keeping an organized and beautiful space. Here's to a stress-free April! Now that the days are getting lovely and longer it feels like a great time to refresh. I took some time a few weeks ago to make my desk feel lighter, brighter, and more inspiring. I still have some organizing to do, but this is a great start. After 9 years in this space it’s such a great feeling. I've only just started to make a few changes in the studio. The coming weeks will bring even more rearranging and making our space feel fresh again. I thought I'd share a few links to some of my favorite products when refreshing your desk for spring. 1. I keep my special pens in this cookie tin from Yoku Moku. I have always love the color and the design. I got mine almost 20 years ago but the cookies inside are so good that they still sell them. Enjoy the cookies, then put the tin to good use on your desk. 2. Every desk needs a tray. We will be coming out with a line of our own trays next month, but in the meantime, pick up a great basic tray in your favorite color at West Elm. 3. Need a desk? You can get creative and use what you've got around the house, but I prefer to start with a nice clean and simple space. I've recommended this to our interiors clients more than once. It's a simple, well designed white desk from West Elm. 4. I've had an ultra comfy Aeron chair for the last 10 years, but I have my eye on one of these Eames Chairs since I used one in my design firm job. You can find one here at Hive Modern. If you don't want to spring for the real deal, there are many who have knocked off this look over the years. 5. Need to stay on track? As much as I love my iphone, I still like to have a paper calendar to frame my week. 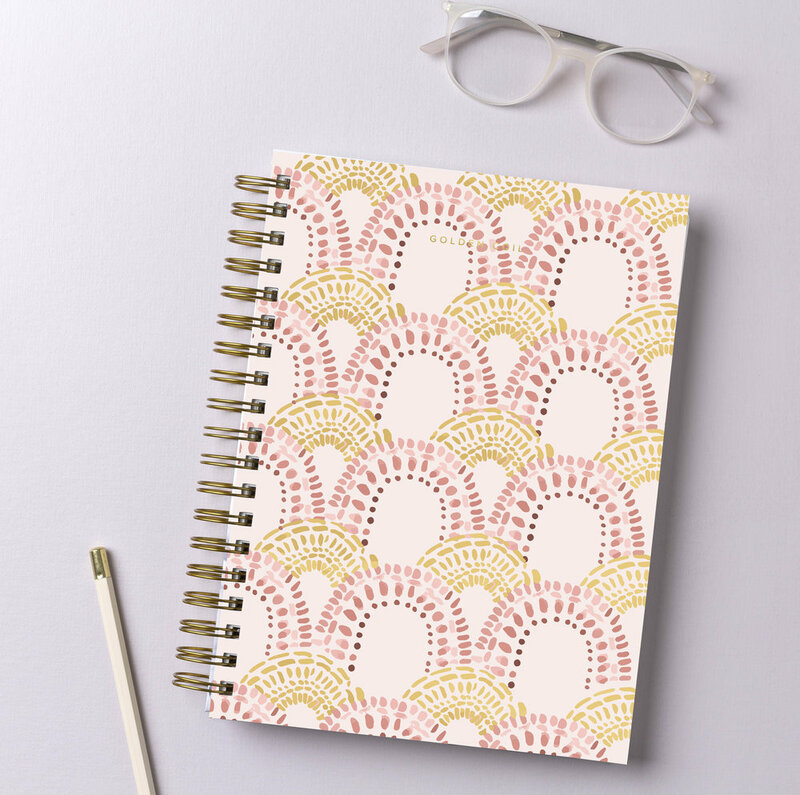 We will be offering our designs on May Designs notebooks in our shop later this month. In the meantime, check out May Designs for some fun shibori designs which are a huge trend right now. Looking for more inspiration? Follow our Pinterest board Atelier BC where we pin inspiring studio spaces. We will also be featuring profiles of some of our favorite work spaces and the people who work in them in the months to come. He was the one to guide, cheer on, just listen, and always push folks beyond their expectations. A firm believer in finding and following one's passions, he challenged all to "Look for your place in the world. Not everybody finds it, but it's out there. Go find it!" Forever Humble. Forever Passionate. Forever Generous. Forever Encouraging. Forever Inspiring. Forever Smiling. Forever Living in the hearts of those he touched. My 1970 Copy of Marvin K Mooney Will You Please Go Now! Today is Read Across America Day. Books are one of my favorite things and I consider them one of the ultimate luxuries. Think about it. Books require space and care and owning stacks of them implies the luxury of time to read each word and pour over the pictures. I’ll admit that I’m a now a kindle reader for anything that isn’t image based. When it comes to inspiring images I want to see the color on the page and have the joy of flipping through the pages as my heart desires. I got this book thing from my Mom, and I’m thankful to her for it. She has given my brothers and me books for our entire lives. In fact, she just pulled out a box of my books from the 1970’s and sent them to me. Guess what I found? None other than a first edition of Dr. Seuss’s “Marvin K. Mooney Will You Please Go Now!”. Here is a photo of some of the other treasures that were the start of my love affair with reading and books. Check out the beautiful illustrations in The Laughing Dragon by Kenneth Mahood. The color is just amazing considering this book was printed 47 years ago. These will all surely be kept. My kids find it amusing that I have kept some of the same books that they are now reading. Hopefully I can pass these treasures along to them someday. Happy Birthday Dr. Seuss, and Happy Reading everyone!